The primary author of the original Street Survival, Tactics for Armed Encounters, published in 1980, was Chuck Remsberg. At that time, he had no idea that he was writing perhaps the best selling law enforcement book of all time. Nor did he have any idea that he was also creating a movement. 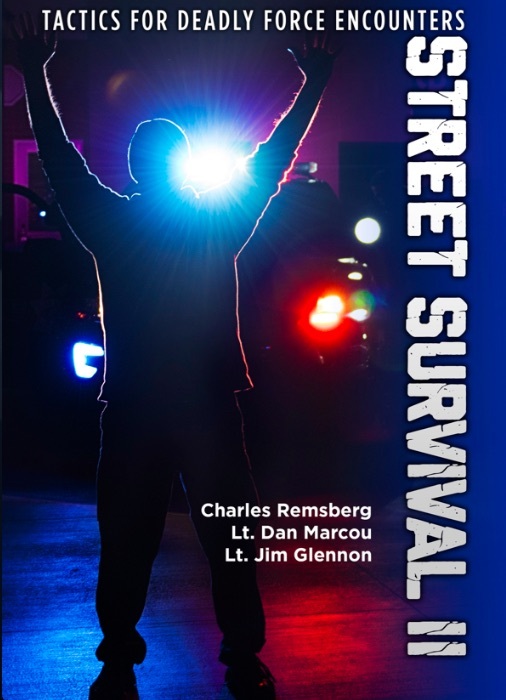 In the first edition of Street Survival, Chuck brought together stories, tactics, and techniques from officers from all over the country. It was published when there was no internet at a time when law enforcement training, for the most part, was insular; done in-house by self-taught practitioners. Chuck introduced a new way of thinking about training and preparation, mindset and systemic philosophies. Much of what Chuck wrote in 1980 is still valid and applicable for today’s police officers. Click here for an excerpt from Chapter 1. For this update, Calibre Press tapped Lt. Dan Marcou (ret. ), an accomplished trainer, tactical officer, and author of several books to spearhead the project. Dan’s brilliance is in his forward-thinking understanding of what is needed for today’s police officer, his street experience, and in his ability to put words on a page that people want to read. Dan continues to share and evolve as a trainer and writer. He brought to this text the latest tactics and techniques, the evolution, if you will, of the skill sets first introduced by Remsberg over three decades ago. Click here for an excerpt from Chapter 12. Assisting him is Lt. Jim Glennon (ret. ), nationally recognized trainer, Street Survival Seminar lead instructor for over 15 years, author, well-regarded expert in communication skills and tactical mindset, and owner of Calibre Press. Jim’s real-world experience as a cop for over 29 years and his contacts with tens of thousands of officers in the U.S. and Canada over the past two decades, affords him the opportunity to share his insights throughout the text.